The Dino Square Armchair is ideal for supporting your customers posture and increasing levels of comfort throughout there dining experience. The chair is made from economically friendly rubber wood and comes in Chocolate Brown leather. 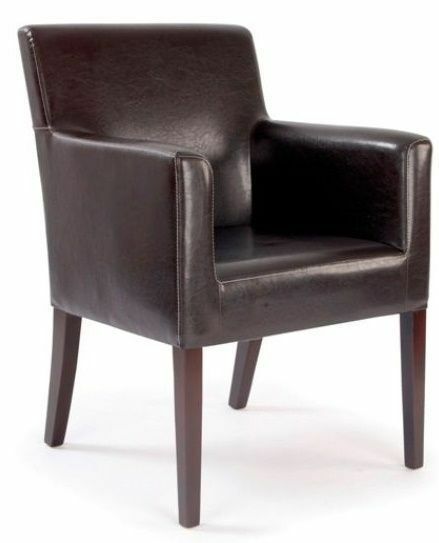 Attractive tub chair manufactured to commercial standard, upholstered in fire retardent brown faux leather. Held in stock for a quick delivery, subject to availability.